Hugh Mostafid is a Consultant Urologist at Circle Reading Hospital. He qualified from St Thomas's Hospital London in 1989 and trained at Guy's Hospital and the Institute of Urology in London. He obtained his MSc in Urology from the University of London in 1996 and won the William Cook travelling fellowship to visit Professor Skinner's unit at the University of Southern California in Los Angeles, a world renowned centre of excellence for bladder cancer. He was appointed as a Consultant Urologist in Basingstoke in 2001 and more recently has moved to join the regional bladder cancer service at the Royal Surrey County Hospital in Guildford. It is one of the few centres in the country performing robotic-assisted radical bladder cancer surgery. In 2014 he was a visiting scholar at the Department of Urology at the University of California in Los Angeles to learn robotic surgery techniques. He is also an Honorary Senior Lecturer in the Faculty of Health and Medical Sciences at the University of Surrey in Guildford. His main clinical interests are bladder cancer, stone disease and urinary tract infection. He was one of the first UK urologists to introduce blue light cystoscopy and device assisted intravesical therapy for bladder cancer. His main research interests are the diagnosis and treatment of bladder cancer. He is a founder member and past Chair of Action on Bladder Cancer charity which was set up to raise funds for bladder cancer research and improve patient outcomes in the UK. He is also a past member of the National Cancer Research Institute's Bladder Cancer clinical study group, the NICE bladder cancer guidelines group and the NHS England specialised urology clinical reference group. He is the Chief Investigator for CALIBER, a national bladder cancer trial funded by the DoH and co-applicant in 2 other national bladder cancer trials. 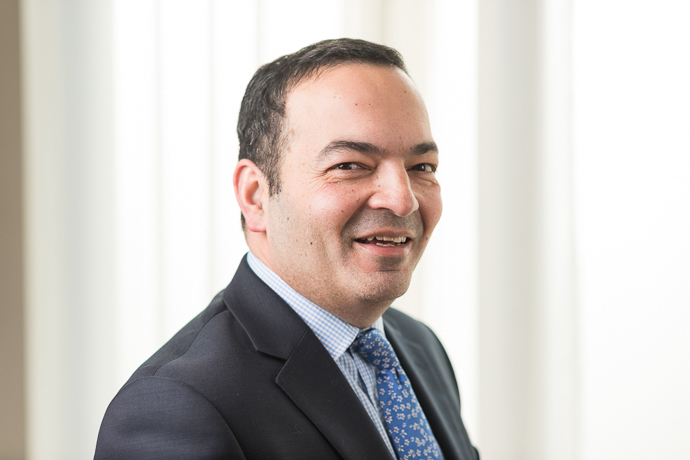 Mr Mostafid has published over 40 papers, and has written book chapters on bladder cancer. He has been invited to speak at national and international meetings on bladder cancer. Consultant Urological Surgeon at the Royal Surrey County Hospital, Guildford and the North Hampshire Hospital, Basingstoke. Honorary Senior Lecturer, Faculty of Health and Medical Sciences, University of Surrey, Guildford.